Spring signals the start of the British lamb season, with tender spring lamb easy to find in supermarkets, farm shops and farmers' markets. British lamb is produced to some of the highest welfare standards in the world. Buying British lamb helps support British farmers – and means a far lower carbon footprint than choosing meat imported from New Zealand. Lamb is perfect in casseroles – using a slow cooker, if you have one, will produce tender, melt-in-the-mouth results from even cheaper cuts of meat. A slow cooker is an economical and convenient way to cook, too – it uses far less electricity than a conventional oven, and the evening meal can be prepared in the morning, leaving you free to enjoy your day and come home to a hearty, warming dish that's ready to eat. For dessert, a seasonal treat this month is rhubarb. 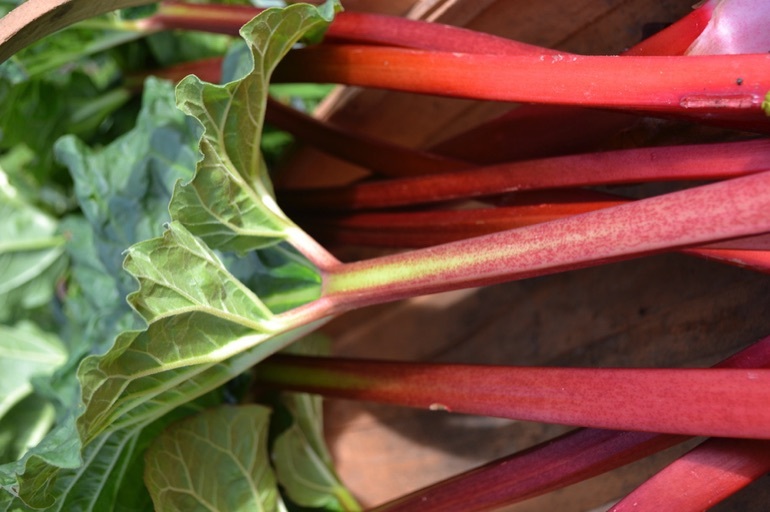 Rhubarb tastes too tart to eat raw, so cook it by roasting or stewing. Or try poaching 500kg chopped rhubarb with a cup of orange juice and 75g sugar. When the rhubarb has softened, strain off the syrupy juice – this can be added to Champagne or Prosecco for a wonderful sparkly cocktail, while the cooked rhubarb can be used in a pie or crumble. If you have a slow cooker, preheat it according to the manufacturer's instructions. Heat a tablespoonful of olive oil in a large saucepan and fry the lamb for a few minutes until browned all over. Transfer the lamb to the slow cooker, or into a casserole dish. Add another splash of olive oil to the pan and fry the onions gently until golden and tender, then add the garlic and cook for another minute or two. Stir in the flour, and redcurrant jelly, then add a little of the stock and stir well until smooth. Gradually add the rest of the stock, then add the red wine and rosemary and bring to the boil, stirring continuously. Pour the sauce over the lamb. Cook in a slow cooker set to high for 7-8 hours, or in a casserole dish in a preheated oven at 160ºC for about one and a half hours, until the meat is cooked through and tender. Serve with mashed potatoes and a green vegetable. First make the pastry by whizzing all the ingredients together in a food processor, until a dough is just beginning to form. Place the dough on a floured surface and knead lightly to form into a ball. Roll out the pastry and put into a greased 25cm flan dish. Cover with cling film and chill in the fridge for at least 30 minutes. Meanwhile, mix the rhubarb with the sugar and orange juice in a bowl. Spread out in a single layer in a greased oven-proof dish, and roast for about 20 minutes at 180ºC until the rhubarb has softened and the juices are all syrupy. Remove from the oven and leave to cool. To make the meringue topping, whisk the egg whites until they are standing up in stiff, white peaks. Then gradually add the sugar, a little at a time, whisking thoroughly. 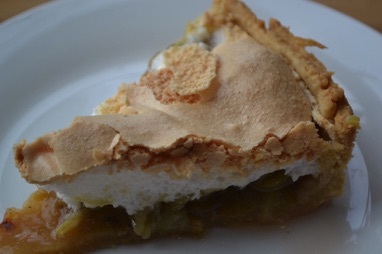 Spread the rhubarb over the base of the chilled pastry case, then carefully spread the meringue over the rhubarb, taking the meringue right to the edge of the pastry case. 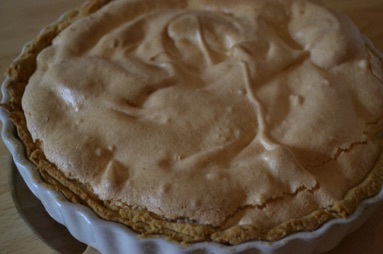 Bake in the oven at 180ºC for around 30 minutes until the meringue has turned golden. Serve warm with fresh cream.